UDairy Choose The Flavor & Win! 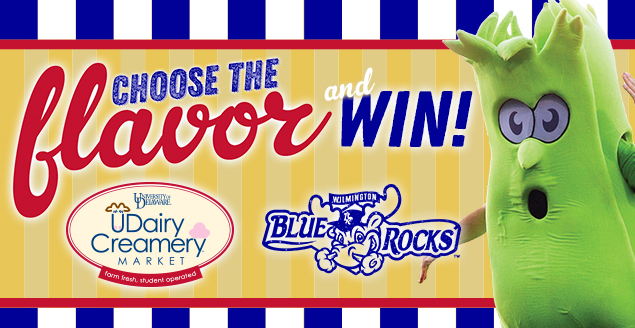 VOTE BELOW TO CHOOSE THE BLUE ROCKS' NEW SIGNATURE UDAIRY ICE CREAM FLAVOR AND YOU COULD WIN! 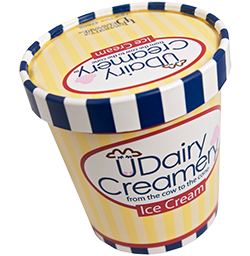 One lucky fan who votes for the winning flavor will win four (4) tickets to the Blue Rocks game on "National Ice Cream Day" (July 15), gift cards to the UDairy Wilmington location & their own supply of the new Blue Rocks' signature UDairy Ice Cream flavor!